Mirror 34 | EMPLOYEE RECRUITMENT: IT’S IN YOUR BRAND. 16 Jan EMPLOYEE RECRUITMENT: IT’S IN YOUR BRAND. You know the old saying, good help is hard to find. Well, unfortunately for many companies, so is a good way to recruit it. But that’s changing. Thanks to Mirror 34 recruitment videos. But not just any recruitment video. Creative, brand building videos. The days of thinking that employee recruitment is not part of a business’s brand strategy ends here with Fiskars and Mirror 34. 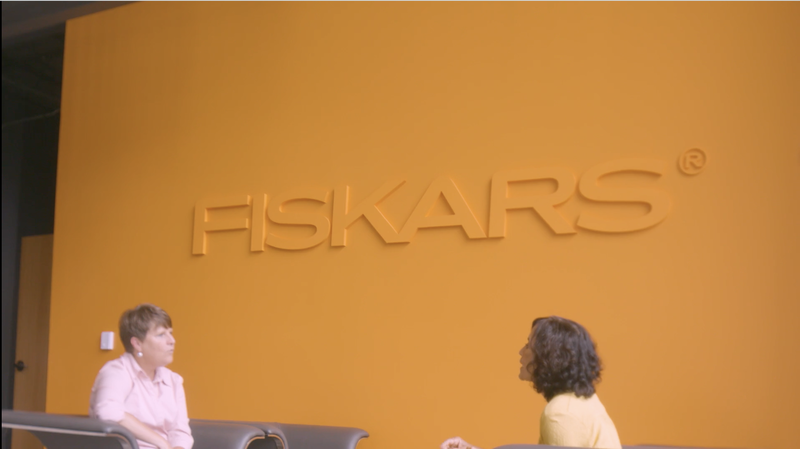 It’s not help wanted, it’s wanting that help and the world to feel and embrace what Fiskars believes, who their people are, and why working for Fiskars is a job above all others. By listening to your company’s story and crafting a video that emotes the brand and engages the job seeker, we can deliver to you a vital tool for recruiting in today’s highly competitive job market. As Fiskars will attest, you’ll be a cut above.